Designed after a guillotine blade held by vines with drops of blood falling to resemble the last traces of aristocratic life. 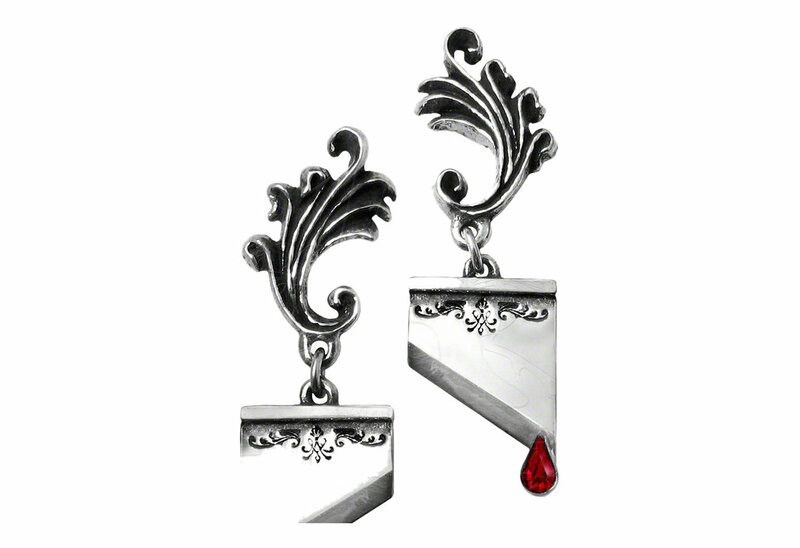 The earrings are made of fine English pewter with Swarovski crystals drops and have surgical steel ear posts. 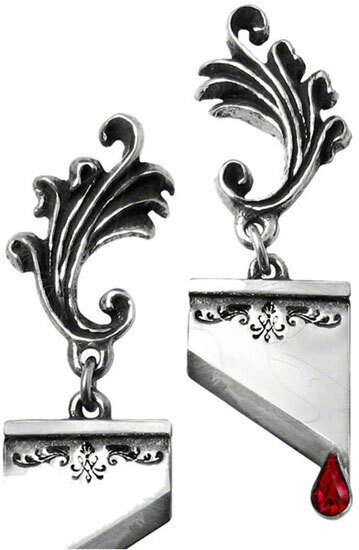 Measures approximately 0.55 inches wide by 1.81 inches high and 0.59 inches deep. Imported from the UK.